After an exciting end of the year with the release of Grand Arena, C3PO, and Han’s Millennium Falcon, the Capital Games offices are bustling again with plans for the upcoming quarters. We’ve spent much of the past few months focusing on the roadmap, including a bold and somewhat audacious five-year version, but as always, I’m here to talk a little bit about the next couple of months. When we sit down to plan the next year’s roadmap, one of the key things that we focus on is learnings from the previous one. Since so much of the core of the game is collecting and strategizing with the iconic characters and ships from the Star Wars universe, we are constantly learning and, when necessary, adjusting the way we release them - especially the types of events we run and their cadence. To ensure that we bring you awesome new Star Wars content in a way that feels balanced, fair, and allows you to really dig in and enjoy each moment, we’re continuing to work on the balance between Marquees, reworks, “achievement characters” (more on that in a moment), and Legendaries/Hero’s Journey/Ancient Journeys. While we are finessing the delivery systems, we also want to try a couple of different formats. To that end, we will be releasing the Emperor’s Command Shuttle in a new event called the Galactic Chase. This event will take place on one of the Cantina holotables, as the Command Shuttle will be immediately released to specific nodes there. This will allow you to earn shards of the ship while accruing other resources and completing daily activities that you would already be doing anyway on these nodes. We hope that you enjoy the way this celebrates the arrival of a new ship - without requiring a separate energy grind. To that end, one of our big QOL features this year is going to be raid simming. If a guild has beaten the Heroic Rancor raid a certain number of times and a (to be determined) number of guild members have Han Solo at 7*, the guild will be able to sim completion of the Rancor Raid and all guild members will receive equal rewards. While we are still tuning the exact rewards, the intention is to keep the inflow of rewards but allow guilds to enjoy the rewards and spend their time on new content without having to repeat the version of an event they’ve mastered. At this time, we are only activating raid simming on the Rancor, but will be able to explore adding it to the other raids at a later date. 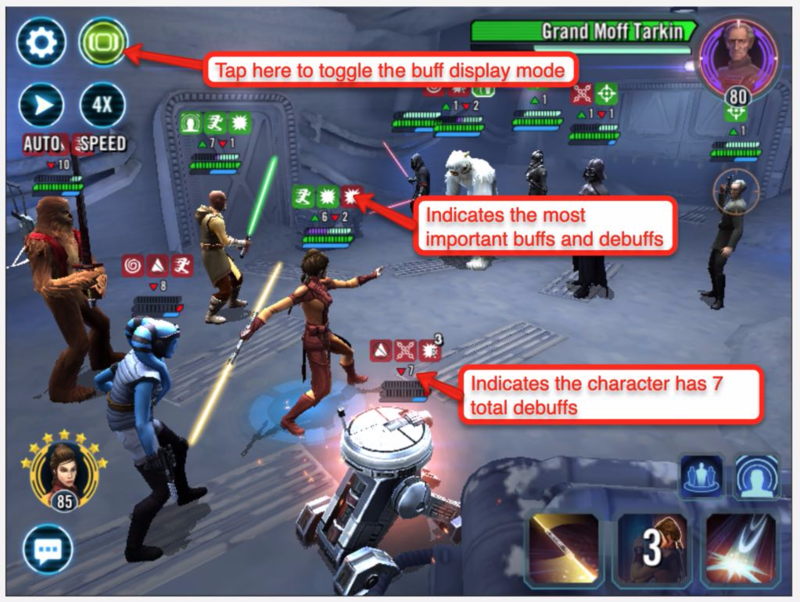 We should note, that if, for any reason, you don't want to sim the Rancor, you always have the option to play through the way it is currently with the current reward distribution. I like a lot of this. Good work. Does B1 sound like a droid version of Nightsister Zombie to anyone else? Congrats on posting the road ahead after I already read this in a speculation and leak thread. Real good job being ahead of the game on your own content. Love the Separatist droid reworks! Perfectly time for the new Clone Wars content! Hoping the reworks of Grievous, B2 and Magnaguard make them usable characters, finally! I mean... who else would you farm instead? Wondered how long it would be until the first moan, there really is no pleasing some people! I don't know why you bother coming on here if you already know it all, just to complain? Why you gotta be that guy? It depends whether you're following the meta, or what you love. I'm gonna keep farming OR characters and the Sith ships because OR is my favorite era. I just barely missed Revan last time and got him this time and I am incredibly happy with where I'm at at the moment. But if you're chasing meta, go for the Separatist droids. She hinted at HK (You hear that meatbags?) 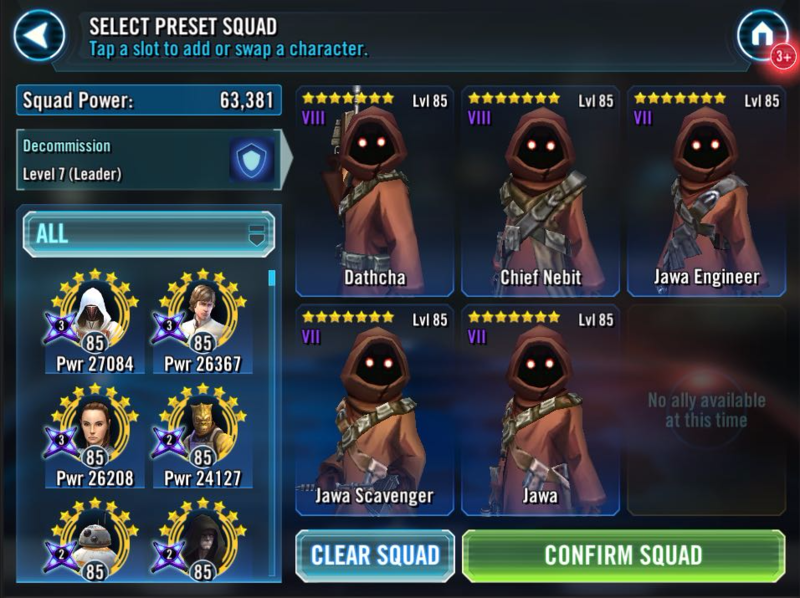 rework so you can look out for that, but I'd say for the time being if you want meta, get Grevious. "Sir.. SIR!! I asked for ketchup but you only gave me TWO PACKETS! SIIIR!" Im disappointed as i was hoping for sith month. Nevertheless, this is also good stuff, so thank you. My favorite part of this entire post was the meatbags HK reference at the very end. And what it’s probably alluding to. Anybody know what the emperor’s command shuttle is? You remember that ship he arrives in at the second Death Star during Episode VI? The one with two wings and a fin? Yup. Gotta get people to gear up Royal Guard! Awesome awesome awesome! Can't wait for all of it. Every paragraph has something great, looks like 2019 going to be an awesome year for Star Wars. I don't care for the new Star Wars movies but CG has nailed Star Wars in this game. Raid simming is awesome but isn't the more important metric to raid simming the ability of a guild to clear it easily? Example you take 50 people who can beat the rancor on auto in 10 minutes, they start a new guild and can't sim the raid for 6 months.... What the hell is that. If the content is trivial for a guild then you should be able to sim it. 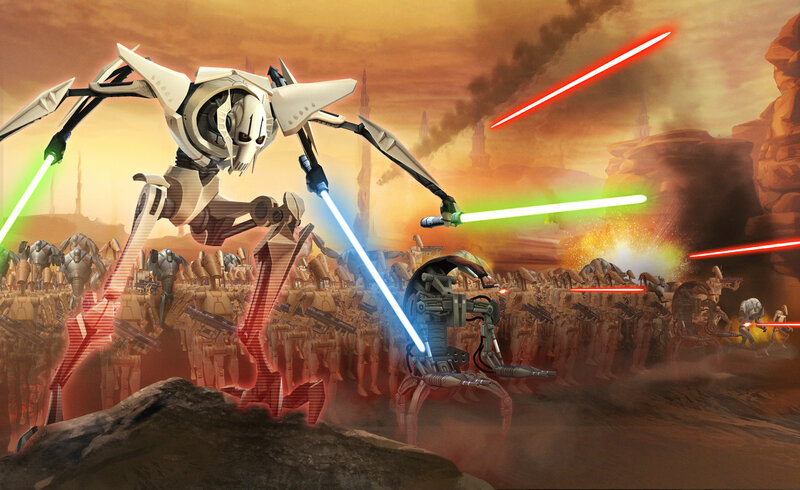 Looks like AhnaldT101 is going to be doing back flips and cartwheels down the street yelling about grievous getting his rework! @CG_SBCrumb When will the shuttle arrive? Any release date yet? It sounded in the post like it could arrive very soon.